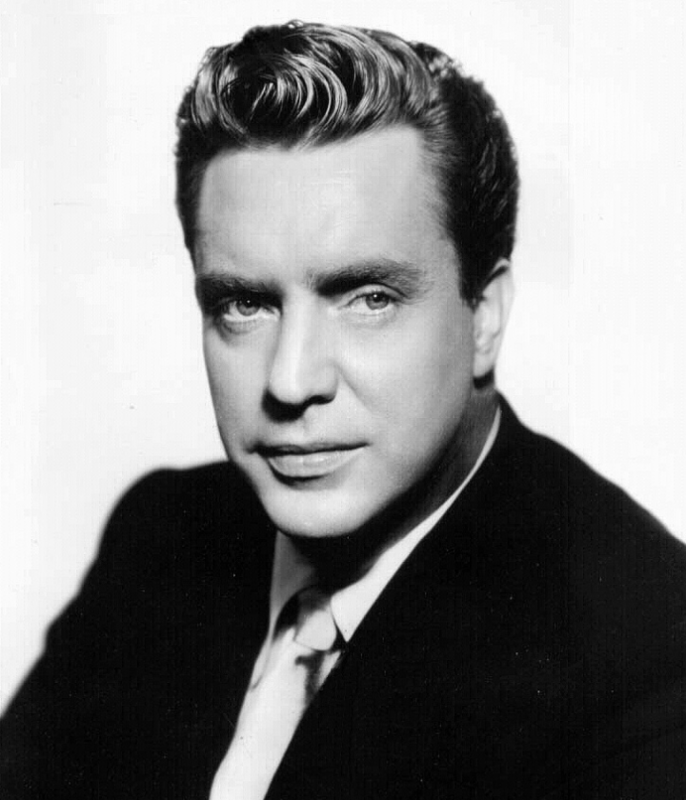 Edmond O’Brien (September 10, 1915 – May 9, 1985) was an American actor who appeared in more than 100 films from the 1940s to the 1970s, often playing character parts. He received the Academy Award for Best Supporting Actor and the corresponding Golden Globe for his supporting role in The Barefoot Contessa (1954), as well as a second Golden Globe and another Academy Award nomination for Seven Days in May (1964). His other notable films include The Hunchback of Notre Dame (1939), The Killers (1946), White Heat (1949), D.O.A. (1950), Julius Caesar (1953), 1984 (1956), The Girl Can’t Help It (1956), The Man Who Shot Liberty Valance (1961), and The Wild Bunch (1969). O’Brien was born Eamon Joseph O’Brien in Brooklyn, New York, of English and Irish stock, the seventh and last child of Agnes and James O’Brien. When he was four years old, O’Brien’s father died. He put on magic shows for children in his neighborhood with coaching from a neighbor, Harry Houdini. He performed under the title, “Neirbo the Great” (“neirbo” being “O’Brien” spelled backwards). An aunt who taught high school English and speech took him to the theatre from an early age and he developed an interest in acting. O’Brien began acting in plays at school. After attending Fordham University for six months, he went to Neighborhood Playhouse School of the Theatre on a scholarship. He studied for two years under such teachers as Sanford Meisner; his classmates included Betty Garrett. In addition to studying at the Playhouse, O’Brien took classes with the Columbia Laboratory Players group, which emphasized training in Shakespeare. O’Brien began working in summer stock in Yonkers. He made his first Broadway appearance at age 21 in Daughters of Atreus. 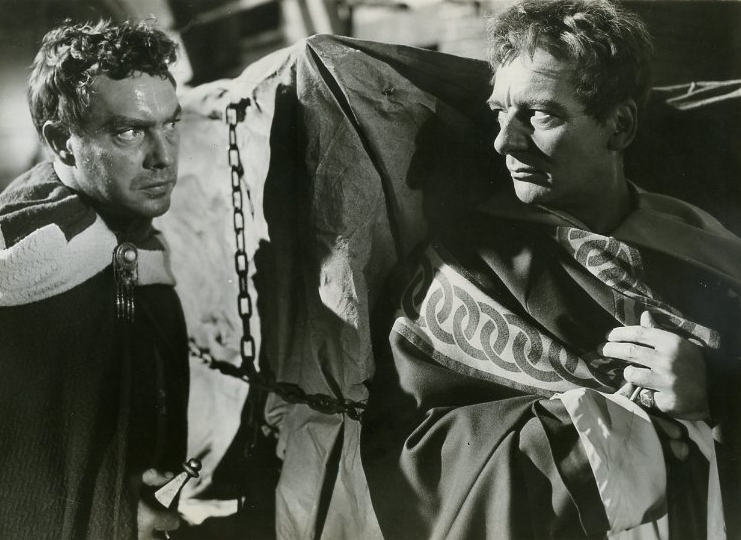 He played a grave digger in Hamlet, went on tour with Parnell, then appeared in Maxwell Anderson’s The Star Wagon, starring Lillian Gish and Burgess Meredith. O’Brien’s theatre work attracted the attention of Pandro Berman at RKO, who offered him a role as the romantic lead in The Hunchback of Notre Dame (1939). He returned to Broadway to play Mercutio opposite Laurence Olivier and Vivien Leigh in Romeo and Juliet. RKO offered O’Brien a long term contract. His roles included A Girl, a Guy, and a Gob (1941) and Parachute Battalion (1941). The latter starred Nancy Kelly who O’Brien would later marry, although the union lasted less than a year. O’Brien made Obliging Young Lady with Eve Arden, and Powder Town. He was loaned to Universal to appear opposite Deanna Durbin in The Amazing Mrs. Holliday (1943), after which he joined the armed services. 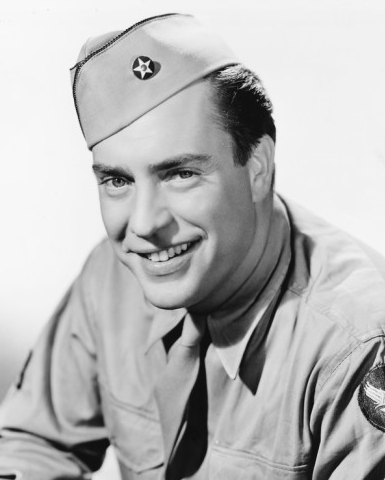 During World War II, O’Brien served in the U.S. Army Air Force and appeared in the Air Forces’ Broadway play Winged Victory by Moss Hart. He appeared alongside Red Buttons, Karl Malden, Kevin McCarthy, Gary Merrill, Barry Nelson and Martin Ritt. When the play was filmed in 1944, O’Brien reprised his stage performance, co-starring with Judy Holliday. He toured in the production for two years, appearing alongside a young Mario Lanza. In 1948, O’Brien signed a long term contract with Warner Bros, who cast him in the screen version of Lillian Hellman‘s Another Part of the Forest. 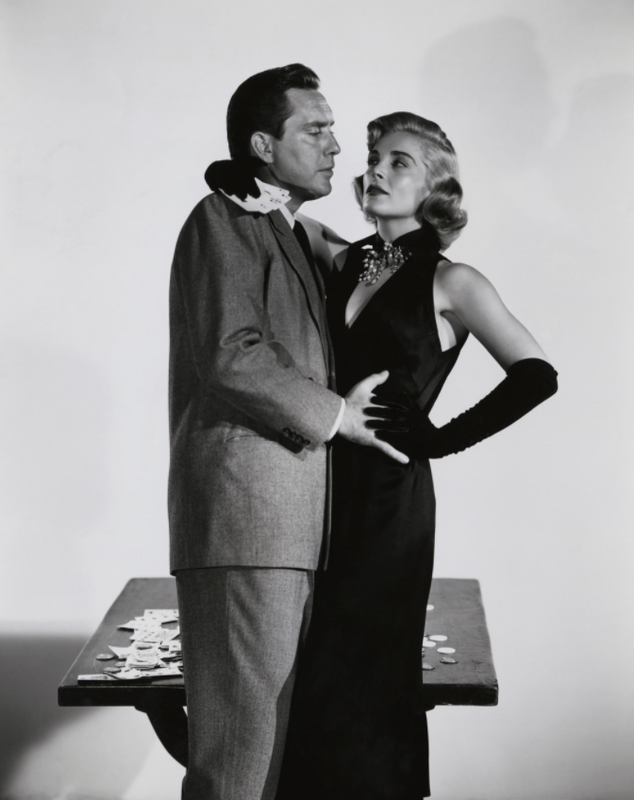 This starred Fredric March who also appeared with O’Brien in An Act of Murder (1948). 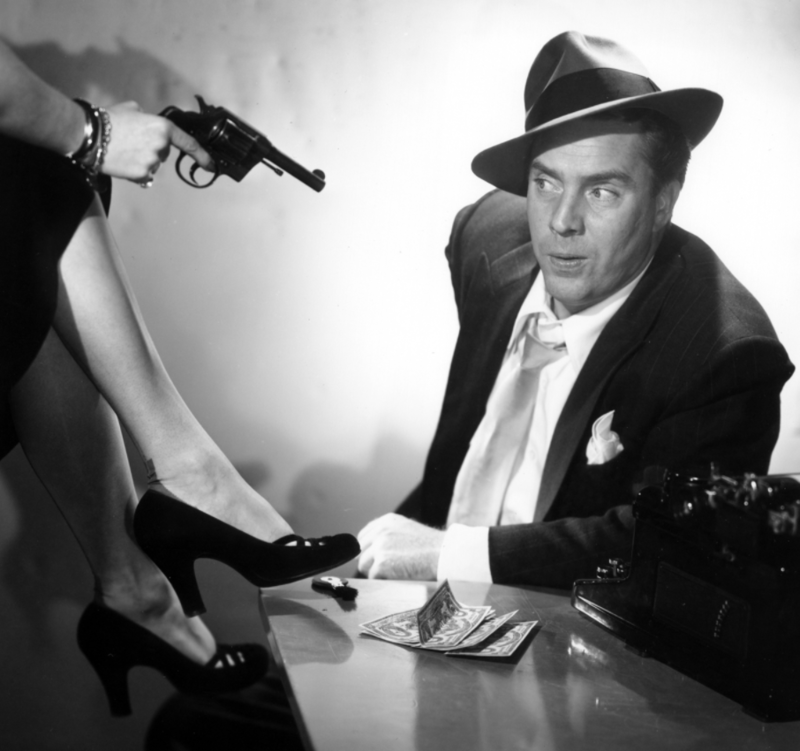 He was then cast as the undercover cop in White Heat (1949) opposite James Cagney. Following an appearance in Backfire (1950) his contract with Warner Bros terminated. He made some notable movies including two for Ida Lupino, The Hitch-Hiker and The Bigamist. He also played Casca in Joseph L. Mankiewicz‘s film of Julius Caesar (1953). O’Brien worked heavily in television on such shows as Pulitzer Prize Playhouse, Lux Video Theatre and Schlitz Playhouse of Stars. He announced plans to direct his own films. In 1951 he was in a well publicized brawl with Serge Rubinstein at a cafe. 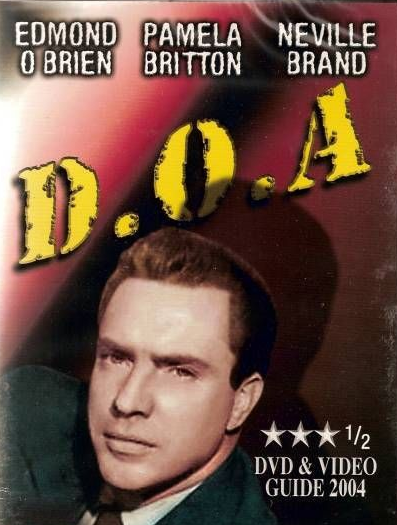 From 1950 to 1952, O’Brien starred in the radio drama Yours Truly, Johnny Dollar, playing the title role. His other work in radio included Philip Morris Playhouse on Broadway. O’Brien was cast as press agent Oscar Muldoon in The Barefoot Contessa. He won a Best Supporting Actor Oscar for that role. 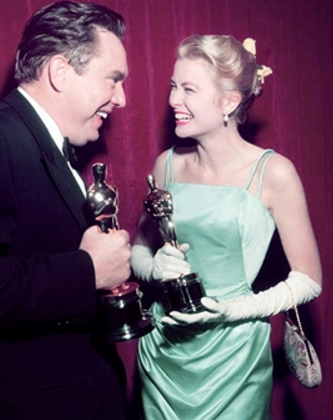 O’Brien followed this with a number of important roles, including Pete Kelly’s Blues, 1984, A Cry in the Night (1956), and The Girl Can’t Help It. O’Brien appeared extensively in television, including the 1957 live 90-minute broadcast on Playhouse 90 of The Comedian, a drama written by Rod Serling and directed by John Frankenheimer in which Mickey Rooney portrayed a television comedian while O’Brien played a writer driven to the brink of insanity. In 1958 he directed and starred in a TV drama written by his brother, “The Town That Slept With the Lights On,” about two Lancaster murders that so frightened the community that residents began sleeping with their lights on. 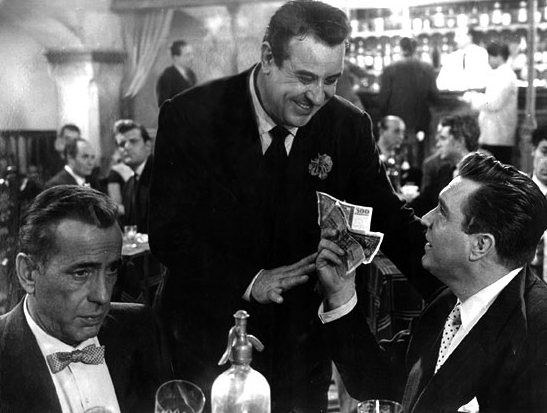 From 1959–60 O’Brien portrayed the title role in the syndicated crime drama Johnny Midnight, the story of a New York City actor-turned-private detective. The producers refused to cast him unless he shed at least 50 pounds, so he went on a crash vegetarian diet and quit drinking. O’Brien also had his own production company, O’Brien-Frazen. O’Brien had roles on many television series, including an appearance on Target: The Corruptors!, The Eleventh Hour, Breaking Point and Mission: Impossible. O’Brien walked off the set of The Last Voyage in protest at safety issues during the shoot. He later came back and found out he had been written out of the film. He was cast as a reporter in Lawrence of Arabia (1962) but had a heart attack during filming and was replaced by Arthur Kennedy. O’Brien recovered to direct his first feature, Man Trap (1961). 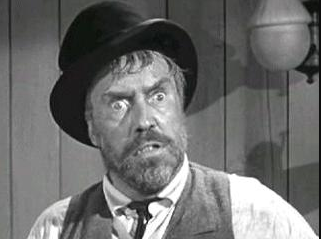 He continued to receive good roles: The Man Who Shot Liberty Valance (1962) and The Birdman of Alcatraz (1962). In the mid-’60s O’Brien co-starred with Roger Mobley and Harvey Korman in the “Gallegher” episodes of NBC‘s Walt Disney’s Wonderful World of Color. From 1963–65 he co-starred in the NBC legal drama Sam Benedict. 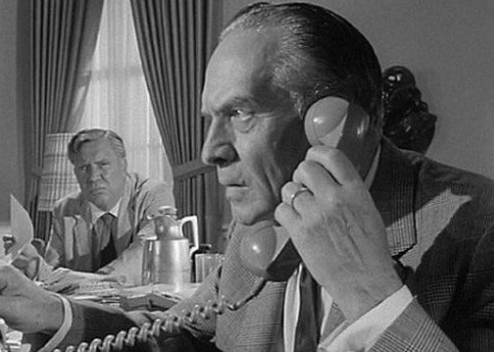 O’Brien had a choice role in Seven Days in May (1964) which saw him receive a second Oscar nomination. He had a role in another TV series, The Long Hot Summer but left after 12 episodes due to creative differences. He was replaced by Dan O’Herlihy. O’Brien worked steadily throughout the late 1960s and early 1970s. However, his memory problems were beginning to take their toll. A heart attack meant he had to drop out of The Glass Bottom Boat. His last film would be 99 and 44/100% Dead. O’Brien was divorced from actresses Nancy Kelly 1941–1942 and Olga San Juan. San Juan was the mother of his three children, including television producer Bridget O’Brien and actors Maria O’Brien and Brendan O’Brien. O’Brien fell ill with Alzheimer’s Disease. In a 1983 interview, his daughter Maria remembers seeing her father in a straitjacket at a Veterans’ Hospital. 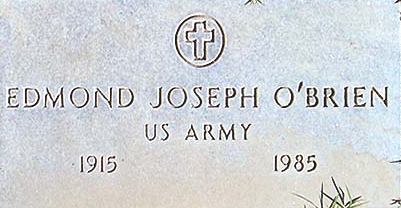 He died May 9, 1985, at St. Erne’s Sanitorium in Inglewood, California, of Alzheimer’s disease. He was survived by his wife and three children. For his contribution to the motion picture industry, Edmond O’Brien has a star on the Hollywood Walk of Fame at 1725 Vine Street, and a second star at 6523 Hollywood Blvd. for his contribution to the television industry. Both were dedicated on February 8, 1960.